On Friday, officials from the Sunshine Pantry dropped off food after protesters asked for help. Pantry officials said they had extra food that was going to expire soon if they didn’t give it away. A handful of people called the pantry, upset about the donation. But Pantry officials said the donation wasn’t a sign of support for the Occupy movement, rather than simply an effort to feed hungry people. First there was this: Then we found out it was a hoax–but you knew that, right? At the meeting it was decided that in order to address the situation some kind of action had to be taken. Ideas that were discussed included obtaining a permit for the space to allow exclusion of dangerous or unsafe elements, involving the police immediately to address situations as they arise, and even stopping services that the camp provides to those who do not involve themselves in the process or the movement. While the group that met felt that some of these actions, such as obtaining a permit, could not be taken without a larger discussion among the occupiers, other actions, such as limiting services and police involvement, seemed more feasible. Many of these problems have been brought as concerns by others, including the City and the Portland Police, but previously Occupy Portland has attempted to solve these through dialogue and outreach. The meeting was called because it was felt that those options had been exhausted and the problems not solved. –And also how slow on the uptake our local media are. When Bruce broke this story on The Victoria Taft Show on October 21st it was a shocker. He’d just come from the City offices shaking his head. As we spoke about it on the air several times thereafter KATU finally became clued into the story and after I’d blogged it and sent in my op ed to the Zero mentioning this, editorial poohbahs apparently still didn’t want to believe the City would be so duplicitous–or they didn’t want to hear it from their ‘favorite’ ‘radio polemicist,’ accurate though she may be. 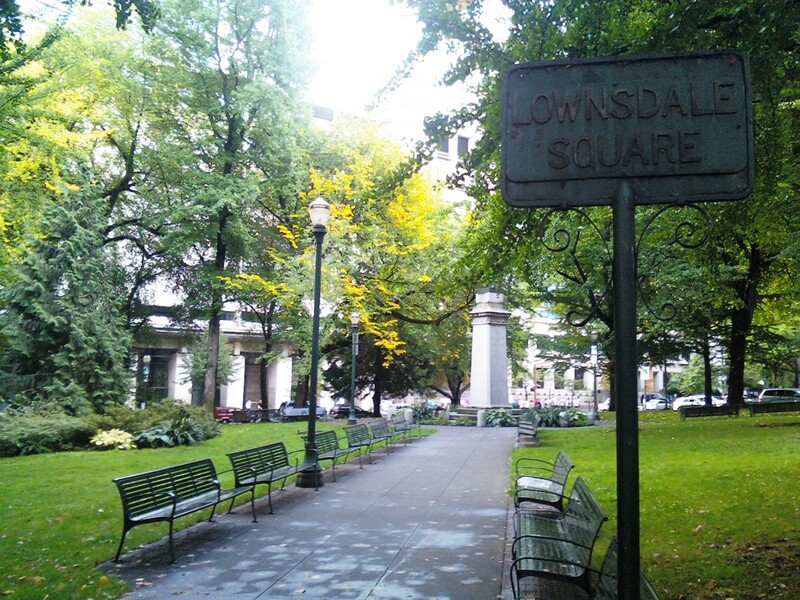 Thinking about taking out a permit to use Portland’s Lownsdale or Chapman Squares anytime in the next year? Forget about it, says Portland Parks & Recreation. Those two public parks are indefinitely off limits to anyone but Occupy Portland. While much attention has been given to the city’s anti-camping ordinance under Title 14, little attention has been paid to Commissioner Nick Fish’s PP&R bureau effectively granting to Occupy Portland a waiver from complying with the permit application and enforcement provisions of Title 20 of the city code. On Friday, October 21 I went to PP&R’s office in the Portland Building to check out obtaining such a permit. I was met and helped by a polite and professional bureau employee who made some initial inquiries into my plans. Without initially disclosing my targeted parks, I describe my purposes as expressing free speech and assembly rights. Without mentioning Occupy Portland, I described the planned activities as having more than 150 persons, setting up tents, fencing and other structures, cooking and serving hot food, using amplified sound devices and staying overnight. The PP&R rep only balked at the last activity, reminding me with a straight face that is was illegal to camp in a Portland park – as the lunchtime Occupy Portland rally could be heard across the street. But I would definitely need a permit. In order to obtain such a permit, I would have to pay an application fee, and daily use fees if approved. I must obtain prior approval from PPB Central Precinct, Portland Fire Bureau, Multnomah County Health Department and the downtown neighborhood association. I must also obtain a noise variance from the Bureau of Developmental Services and provide sufficient ADA compliant portable toilets. Finally, I must provide a $1,000,000 liability insurance policy and an additional insured endorsement that is acceptable to the city attorney. The approval process would take up to 30 days, unless I wanted to double or triple the costs for an expedited approval. Then came the moment of truth, when I told the PP&R employee I wanted to apply for a permit to use Lownsdale and Chapman Squares, since apparently no one else had done so since the Portland Marathon. I was politely told that PP&R is not even accepting, let alone reviewing, any permit applications for those two city parks for at least a year. The reasons for this stunning and unpublicized city decision are twofold: the mayor’s office has granted Occupy Portland exclusive and indefinite use of the squares; and it will take PP&R at least that long to restore and rehabilitate the parks once and if Occupy Portland vacates. 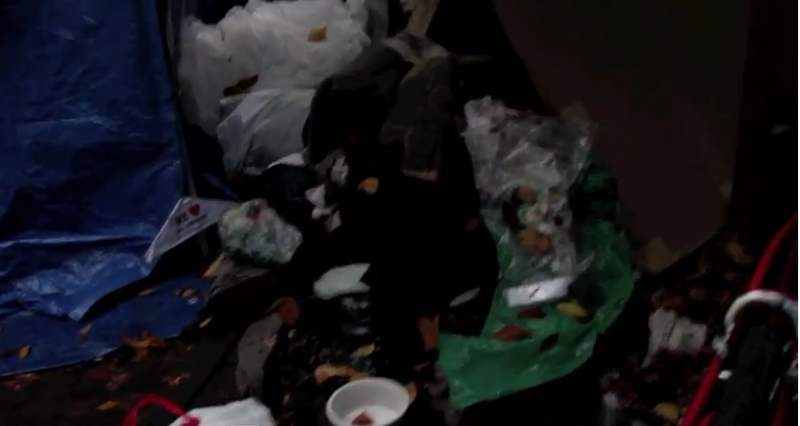 The city’s favored treatment of Occupy Portland is an insult to all law abiding citizens. It also guarantees that all costs associated with liability claims, property damage and park restoration will not be borne by the “99%” who create the harm. 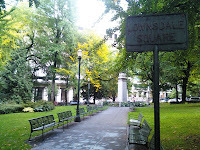 Instead, such costs will fall upon the 100% of Portland taxpayers denied the use of these parks until November 2012 – Occupy’s Portland’s stated departure date. Bruce R. McCain is a Portland lawyer. Who has gone to his great reward. He was a politico, patriot, veteran, and father. My inbox is filled with his forwards, thoughts on political discourse and jokes. My name is ______ and I am George’s grandson, I am writing you this letter to let you know that on Friday afternoon George was fortunate enough to go home and be with the Lord. My grandfather loved his family, God, loved and defended his country, and worked hard every day to provide for his family what is known as the American Dream. I know he loved your show and enjoyed corresponding with you. And I thought that he would want me to let you know. I am proud to be able to call him my grandfather and I know if more of my generation had someone in their lives like my grandfather then this country and world would be a better place. I don’t know how old his grandson is so I’m omitting his name. I think George did a pretty good job with his family. Let’s hope He didn’t break the mold. Milton Friedman Sets Liberal Straight On "Too Many Millionaires"
From a 1979 Donahue Show, economist Milton Friedman sets a liberal woman straight on the same argument fronted today by the Occupy Anything But a Bar of Soap crowd envious of other peoples success. Isn’t odd to see the same arguments and desperation people had under Jimmy Carter coming back up under Barack Obama? Ronald Reagan led us out of the last mess. Who is there to do it today?